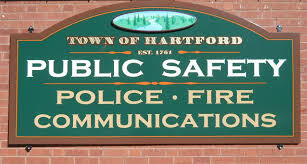 Shortly before 7:30 pm Tuesday night, the Hartford Fire Department was dispatched to 20 Lily Pond RD for a report of a building fire. The first arriving unit found fire venting from the 2nd floor windows of apartment 3. The initial hose line quickly suppressed the fire allowing crews to work inside the building to ensure everyone had safely evacuated and further protect the occupant’s property. There were no reported injuries and the fire was confined to Apartment 3 with minimal spread into the attic space. The occupants of the other apartments agreed to find alternative lodging for the night but will likely be able to return home today. Apartment 3 will not be inhabitable until significant repairs have been made. Hartford Fire units were assisted on scene by the Lebanon and Hanover Fire Departments while the Hartford Fire Station received coverage from Norwich and Hartland Fire Departments. This entry was posted in Fire, Fire Department, news, vt on November 23, 2016 by GrowingInArt.